BUSIA – In bid to ease trade and promote the security of cargo, the government has launched non-intrusive inspection scanners at Busia and Malaba. 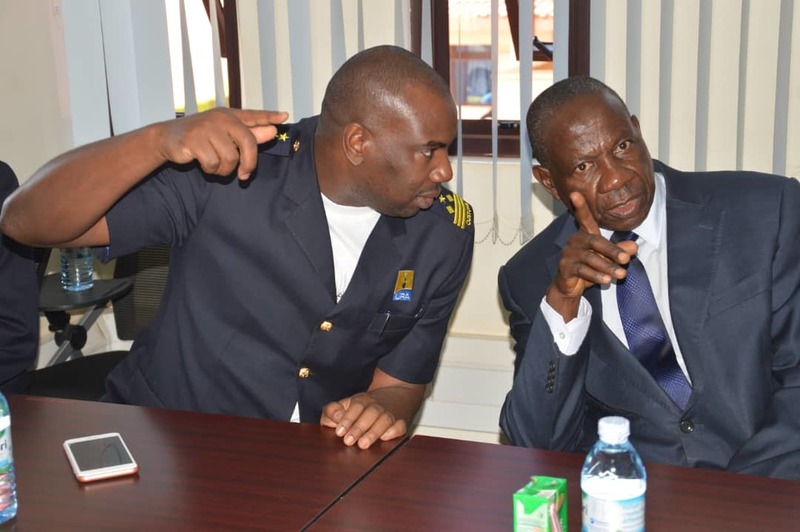 Mr Matia Kasaija, the finance while speaking at the launch in Malaba today July 3 said the two FS 6000 Non-intrusive Cargo Inspection Scanners would make Busia and Malaba border points One Stop Border Posts (OSBP). He explained that the cargo scanners were acquired from NUCTECH, a China-based company by Uganda Revenue Authority customs’ department to streamline and improve cargo in transit thus boosting international trade. He said in a marketplace where illicit cross-border trade and smuggling is still thriving, supply chain security is very crucial and that customs, therefore, need to prevent illegal transport of unauthorized or undeclared goods and migrants alike. “When combined with effective profiling methods, non-intrusive scanners can greatly improve the customs and security functions,” Mr Kasaijja said. He, however, was disappointed that there was too much element of a human being to enable the scanners work which he said could be compromised. “I am not fully satisfied, the scanners have too much element of human beings and this could compromise the work, I want to sit in Kampala and get the service very fast myself without any human being involved,” said Mr Kasaijja. Mr Dicksons Collins Kateshumbwa the commissioner for Customs at URA said with support from TradeMark East Africa and Department for International Development (DFID) finance, the newly launched scanners will be linked with the ones at Mombasa Port thus create a digital trade corridor. “As part of the digital revolution, it is important that all efforts are put in place to ensure faster and more effective technology is used in trade. Electronic cargo scanning and clearing is thus a great step towards better and efficient service delivery,” said Mr Kateshumbwa. He explained that scanners allow for archiving to be set to allow the system to free up space from old images and that they were bought at Sh 15 billion from China. “The server supplied with the system has a provision for inserting USB drives and USB DVD-RW drive to allow for burning of the images in standard format,” Mr Kateshumbwa said. The URA director Mr Richard Kamajugo commended the authority on the milestone of having the first non-intrusive inspection scanner in the region.